There are a huge number of different smartphone choices for consumers to pick from at a variety of price levels, and today we are looking at where to buy the HTC Desire 600C in India and at what cost. The HTC Desire 600C is a midrange offering from the company that features a 4.5-inch qHD Super LCD2 touchscreen display at a resolution of 960 x 540, which is powered by the Qualcomm quad core Snapdragon 200 processor clocked at 1.2GHz, which is paired with 1GB of RAM. It has an 8-megapixel rear facing camera with a BSI sensor and LED flash, while around the front you will find a 1.6-megapixel shooter for video conferencing or self-portraits. There is also 8GB of on board storage that can be expanded by another 64G thanks to microSD card support, and the HTC Desire 600C also offers dual SIM support. The handset is available at a variety of prices via online retailers in India with Flipkart offering the device with free delivery for Rs. 26,999, which compares to Big C Mobiles that have it listed at only Rs. 24,999 and again with free shipping as well as offering EMI payment options. Meanwhile Snapdeal has the HTC Desire 600C listed for a price of Rs. 27, 746 and is also offering a variety of EMI payment options, while another retailer Zoomin has the smartphone priced at Rs. 27, 665. 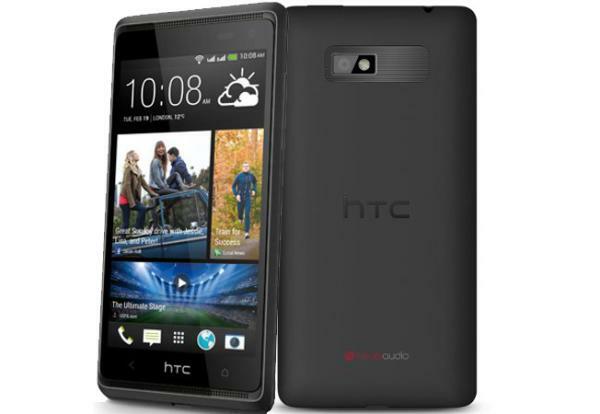 Are you planning on getting the HTC Desire 600C?